iSplitLite, iSplit Divorce, and iSplit Divorce Pro represent a new kind of Mobile App that helps you, when dividing up your assets and debts, to make visual decisions about “who gets what” more quickly, with less adversity and acrimony. Divorce is a terrible process, right? No one thinks it’s going to happen…even divorce lawyers (yes, there’s research to support that: part of the “Optimism Bias”). On these pages, I would like to offer you some thoughts about how to manage the divorce process — both the emotional and the legal — in a way that might be more humane and compassionate. Let’s first take a look at the mechanical things that we can address and, then, let’s look at some negotiating ideas. The three main activities of dissolving a marriage — how we share custody of the children, how we “support” each other, and how we split up our “stuff” — is, at best, a troubling, painful process. iSplitLite™ and iSplit Divorce™ work to help at one of these three main activities: splitting up stuff. By creating multiple configurations — what happens if you take the car and the house? — the App helps the parties explore possibilities in real-time. No spreadsheets. No abstractions. The beauty of the iSplit™ apps, I think, is that it allows you to see concrete stuff right there on the screen: move pieces of the stuff — boats, rings, appliances — around and see what happens. Save it as a configuration (Standard, Premier and Pro versions) and you can go back to it. If I were to give some advice — from years of consulting, therapy, etc. — I’d say this: try out a few scenarios and, then, let it sit. Let it percolate over the course of a few weeks or so. Come back to the App and try a new configuration and see how that feels. Leave it alone for a couple of days (hours?) and, again, come back to it. How to negotiate? This might sound dumb but…first try identifying the things that you agree on. Yes, instead of the “sticky” stuff — the house, the kids, the cars — focus on the stuff that you can agree on. In my case, there were a bunch of things I didn’t care about: the living-room or bedroom furniture (except for my dresser); the kitchen utensils (with the exception of my favorite chef’s knife); the bed. So, there was never, really, any discussion about those items: those decisions or initial inclinations formed the basis for the agreements of what to do with the rest of the stuff. iSplitLite™ and iSplit Divorce™ are communications and decision-making tools. They are not a blunt instrument but they are not precision machines, either. You’re dealing with emotions and practical issues: this is a tough spot for humans. If you can recognize that and hold it, you’ll be further ahead. 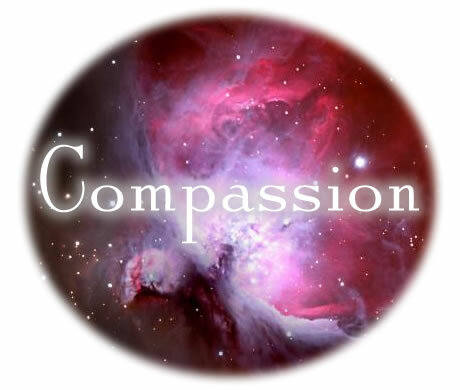 Compassion, for yourself and for others, is always a positive step. How to communicate with each other? This app should be called lickity split, for before you know it you are done!! This is a superb concept, brilliantly executed. So simple that a child could do it. The hardest part is just determining the value of your assets, which you would have to do if you hired a lawyer anyway. The fact that it instantly keeps track of the total values for each section– his, hers, undecided– is amazing. No more calculators. Just plain facts. In 20 years as a divorce lawyer, this is the most effective software tool for the division of assets and debts I’ve found . Using graphics simplifies the process and makes it easier to communicate. I use it in settlement negotiations to illustrate the offer on the table. Its also useful in mediation or even meetings with clients to work though options. With the iPad and a VGA adapter, it will make for very effective presentations in court. iSplit™ is located in Northern California, Pacific Standard Time. You can reach our Support function via email: just click here if you have questions that the FAQ doesn’t answer and we will gladly get back to you within 24 hours, guaranteed. Send your phone number along if you want to be called. We’re still doing market research so…it might be nice to talk with you. View Larger MapSMBC is part of the iHub network. Somehow, I got intimately involved, helped to turn around the operation and made it a stellar institution which, now, emanates respect for all: children; teachers; parents; neighbors. Until 1998, I remained involved with that school and, in the process, learned about Maria Montessori’s gift to humanity. Among those gifts was the idea that humans need practical, concrete materials for learning. I still reminisce on the chance to do something good there and apply some progressive and wacky business management principles. It is another piece of evidence of how I’ve been lucky. In 2010, faced with the practical realities of my second divorce, I took a page from my Montessori experience and developed some new tools for me and my ex-wife to divide up our assets. (Yes, I feel privileged that we had some assets to divide up.) Those “tools” — cards of differing sizes to represent the proportional value of assets — were the genesis of this Mobile Application. It was clear to me that this one small piece of innovation might have some value to a group of users: people who were in turmoil and needed just a small bit of help through some organizing device. And, that it might have some market value, too. Sue me: I’m a capitalist. A compassionate capitalist, though. With the help of Marian Brostean in Timisoira, Romania, a talented software engineer, astute businessman and all-around good guy, the dream of a robust offering was realized. Without Marian, his attention to detail, his persistence and integrity, my dream would never have been realized. Kudos to Mr. Brostean. Oh, getting the App going…it didn’t hurt that, after the financial meltdown that led to the Great Recession, I was, pretty much, out of work. iSplit Divorce™, already enjoying popularity since its introduction in September 2012, was the launchpad for APG Mobile Applications new App, iSplit Divorce Pro™ now in Apple’s App Store. Using its revolutionary “visual computing” interface, iSplit Divorce Pro™ uses icons and the “drag and drop” features of tablet computers to help with reduce the pain and increase the efficiency of the process of splitting up assets and debts. iSplit Divorce Pro™ is a completely redesigned App (iPad) created with the legal professional in mind. In development for two solid months, “Pro” promises to help lawyers get out from behind their desks and actually work with their clients in a collaborative way. This is one of the new trends in Family Law: a collaborative approach. Founder and Chief Innovation Officer, George Moskoff, says: “People going through a divorce need the kind of support and assurance that a good attorney can provide; the good ones make you feel more confident about your prospects.” That’s why iSplit Divorce Pro™ will have such an impact, he says, because it allows the attorney to actually work with the client…on the other side of the desk. What makes iSplit Divorce™ such a unique product? Moskoff says, “…it’s visually based so it’s easy to see who’s getting what and what it’s all worth…in realtime. It’s the opposite of abstract.” While it reduces confusion and increases the efficiency of decision making, it also reduces the amount of time that attorneys have to spend dealing with the splitting assets/debts process, saving the clients money in professional fees and lawyers headaches. Prospects for sales are good, says Moskoff: “For for the week ending November 9th, downloads of iSplit Divorce™ were up 683% over the previous week…so there is momentum.” Moskoff hopes the Pro version will be attractive, too. For the consumer, there are three versions: Lite; Standard, and; Premium. iSplitLite™ is free. The Standard version is $9.99 and premium checks in at $14.99. The high end version offers all the bells and whistles the bells and whistles the company has created so far. iSplit Divorce™, iSplitLite™, iSplit Divorce Pro™, and Kids Self Evaluate™ are products of APG Mobile Applications (http://apgmobileapps.com), the nation’s leader in visual computing for mobile devices. The company is headquartered at the NorthBay iHub Tech Incubator at the Sonoma Mountain Business Cluster in Rohnert Park, California. APG Mobile Apps supports customers on five continents with their leading-edge products. APG Mobile Applications launched its flagship “visual computing” product, iSplit Divorce™, for the iPad. The benefits: 1) divorcing couples can now get the conversation started of “who gets what” more easily resulting in a shortened, less painful and acrimonious experience; 2) the elapsed time for making decisions is shortened. “Instead of cumbersome, slow and abstract paper forms, iSplit Divorce™ allows divorcing couples to see ‘who’s getting what’ in realtime through a very graphic interface,” says founder, CIO and techpreneur George Moskoff. According to the Centers for Disease Control, there are more than 1,000,000 divorces (50% of first marriages) annually in the U.S. and similar numbers in developed countries. APG MA is currently supporting customers in five continents: Asia, North America, Central America, Oceania and Europe. The App is well positioned for the emerging niche of collaborative law and allows sharing of the data across multiple platforms for users, family lawyers, mediators, etc. Three versions of iSplit™ are offered: Lite (Free); Standard – $9.99 and Premium ($14.99). Each version offers an increasing level of sophistication, complexity and sharing options. The next major version, iSplit Divorce Pro™, will be marketed to family law attorneys who can use the App with their clients. That Version will be available on November 15, 2012.
iSplit™ is part of a suite of five mobile apps that APG Mobile Applications is now developing for the Marital Dissolution niche. All of these Apps help to increase the efficiency of the dissolution process, reduce the cost (legal fees) and minimize the emotional pain. APG MA is also developing Apps for at-risk school-aged children. We are a humble group of servants from across the globe. Our Mission is to help the people of this planet save themselves and each other from cynicism, psychological, financial and material annihilation. Our Founder, George R. Moskoff, is trained as a scientist who has had a deep interest in human psychology since 1978. Multiple forms of therapeutic tools have been explored as he has worked to understand why humans behave the way they do. A friend and protege of the late M. Scott Peck, M.D., Moskoff credits Peck’s Community Building model with a significant transformation in his own life and living. Moskoff has also studied Imago Therapy, Open Space Technology, Yogic Principles and Non-Violent Communications (NVC). Thank you for using iSplitLite™ or iSplit Divorce™. I hope they’re helping. If you’re using the “Lite” version, click here to upgrade to “Standard” or “Premium” Versions. In the “Lite Version”, you can rearrange and create as many assets and debts as you want. When you want to share that configuration, you’ll be able to send an email with a summary of the assets, debts and net value. iSplitLite™ is an iPad based tool that helps divorcing couples split up their marital assets/debts by using the “drag and drop” feature of Apple’s Mobile platform. Move icons around and the program automatically re-calculates for you. iSplitLite™ will save you enough in legal costs to pay for the purchase of your iPad. To read more about my story and how iSplit™ got created, click here.